Things aren’t looking great for the FIA World Endurance Championship these days. Rising costs in endurance prototype racing have all but killed its top class for the 2018 race season, and a new, thinly sourced report claims that the series may chop a third of its schedule and shift to running in the winter months. Sportscar365 reports that up to three of the World Endurance Championship’s nine rounds could be eliminated for next season, and that the series, which runs from April to November currently, could morph into a winter series with that starts after the 24 Hours of Le Mans in the summer. One of the races that’s reportedly on the chopping block is the World Endurance Championship’s Silverstone date, which currently opens up the season. That’s the only section of the report that Sportscar365 sourced, reporting that multiple sources said the circuit is unlikely to be back on the schedule. The rest of the report isn’t attributed to anyone, which, of course, means that you shouldn’t take it as the least bit concrete. But if any of it becomes a reality, it’s not the best news for the series. One of the most ominous parts of the Sportscar365 report is about Toyota, the lone manufacturer left in the series’ top LMP1 class. Without citing where it came from, the website reports that Toyota could run a limited schedule next year. If that happens and no one joins LMP1—which no one is slated to do right now—it would leave the series without a top class in one or more of its events. 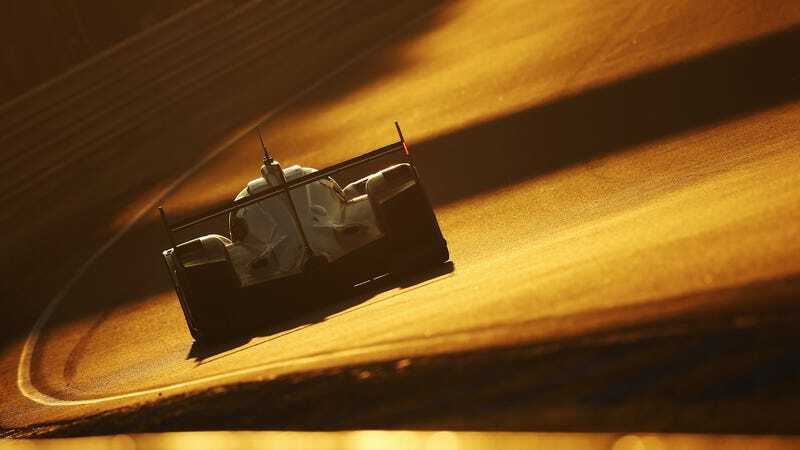 As a result, a more drastic change to a winter season, which had been under consideration in recent years, could be made, with French media reporting the 2018 season may not begin until after next year’s 24 Hours of Le Mans. It’s understood at least six rounds, on three continents, are required for the WEC to retain World Championship status, which it intends to do so thanks to the new-for-2017 world titles for GTE manufacturers and drivers. Both Audi and Porsche dropped WEC for a much less expensive and much more relevant-to-future-road-cars series, the electric FIA Formula E Championship that can be run on about $4 million annually. Both series are new, with WEC starting as a reincarnation of past global endurance championships in 2012 and Formula E starting as its own thing in 2014. Formula E’s electric cars just offer more for the money compared to WEC’s offerings to test hybrid technology. Jalopnik has reached out to Circuit of The Americas, the series’ only U.S. race date, for comment on the reports as well.